Two members of the controversial White Helmets organization that operates in Syria have been barred from attending the Academy Awards, the producer of a documentary featuring the NGO said. The film has been nominated for an Oscar. White Helmets leader Raed Saleh and cinematographer Khaled Khateeb, both Syrian, were invited to the 2017 Academy Awards by Joanna Natasegara, the producer of a short documentary about the organization available on Netflix. The documentary film ‘The White Helmets’ has been nominated for an Oscar, along with four other contestants. The travel ban for seven predominantly Muslim countries imposed by US President Donald Trump last week also affected acclaimed Iranian filmmaker Asghar Farhadi, whose film The Salesman is nominated in the Foreign Language category, and Syrian woman Hala Kamil, the subject of Watani: My Homeland, another nomination for the short documentary award. This is not the first time Saleh has been banned from entering the United States. In April 2016, he had to return to Istanbul after discovering that his visa had been cancelled by the US. This prevented him from receiving an award in Washington at a gala party supported by White Helmets sponsor USAID. The White Helmets, who also call themselves the Syrian Civil Defense, have been touted as a non-political aid organization focused on saving lives in war-torn Syria. The Oscar-nominated documentary depicts them in line with that narrative. 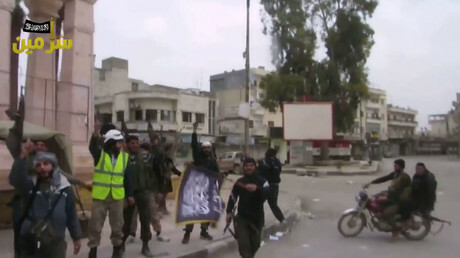 Critics say it is a foreign-funded propaganda vehicle closely aligned with Islamist militant groups opposing the Syrian government. 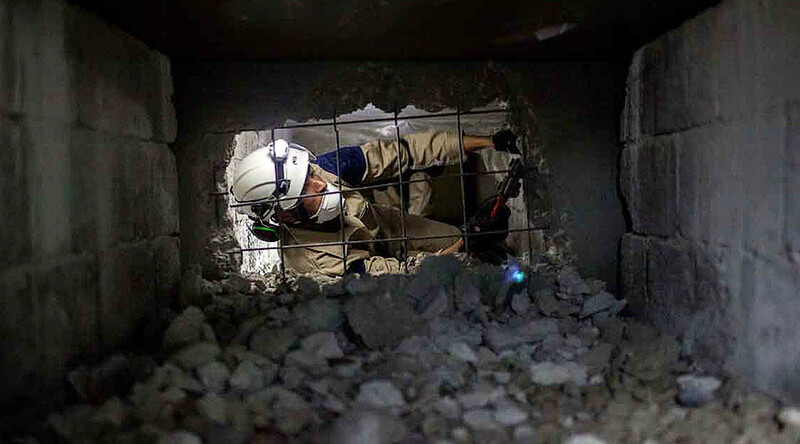 Members of the group have been accused of stealing vehicles, rescue equipment, and its very name from the government-run Syrian Civil Defense, an organization with a decades-long record of rescue operations in Syria.